Frank Churchill (October 20, 1901 in Rumford, Maine - May 14, 1942 in Newhall, California) was a U.S. composer of popular music for films. 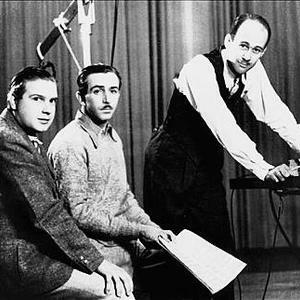 He wrote most of the music for Disney's 1937 movie Snow White and the Seven Dwarfs, including "Whistle While You Work" and "Some Day My Prince Will Come". The latter (without the Larry Morey lyrics) became a jazz standard covered by various jazz greats including Oscar Peterson, Miles Davis and Dave Brubeck.